Experienced Puerto Rican Carlos Rivera (187-PG-83) had an amazing evening in the last round for league's second-best Fuerza Regia and that's him to receive a Interperformances LNBP Player of the Week award for round 31. The 35-year old playmaker got a double-double of 22 points and twelve assists, while his team outclassed Laguneros (#5, 12-16) with 40-point margin 116-76. Fuerza Regia maintains the 2nd position in their group in Mexican LNBP. They would have been even better if they hadn't lost a few games earlier this season. Fuerza Regia will need more victories to improve their 23-7 record. In the team's last game Rivera had a remarkable six three-pointers out of 9 attempts. 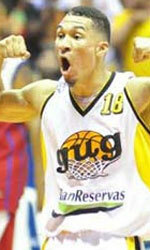 He turned to be Fuerza Regia's top player in his first season with the team. Hofstra University graduate has very impressive stats this year. Rivera is in league's top in assists (8th best: 4.5apg) and averages solid 56.3% FGP and 42.6% from behind 3-point line. The second most remarkable performance in last round's games was 29-year old American guard Kennedy Jones (188-G-89) of Correcaminos. Jones impressed basketball fans with a double-double of 31 points and 10 rebounds. Of course Correcaminos cruised to a 106-99 relatively comfortable win over slightly higher-ranked Lenadores (#3, 16-12). 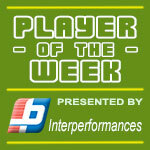 It was definitely game of the week between two contenders to the top position in North. Correcaminos consolidated its place in top 4 of the standings. His team is not often considered as one of the league's best with a mere 14-16 record. Jones is well-known by Correcaminos fans and he already established his position as one of team's most reliable players. The third best performed player last round was American Jerime Anderson (187-PG-89, agency: Best of You Sports) of top-ranked Mineros. Anderson showcased his all-around game by recording 16 points, six rebounds and seven assists in the last round. He was a key player of Mineros, leading his team to a 112-101 win against the lower-ranked Santos (#6, 10-20). Mineros confirms their top position in North. Their record at this point is 23 victories and 7 lost games. Anderson has a great season in Mexico. After 30 games, he made it on the list of the league's leaders in assists with 6.4apg (3rd best).